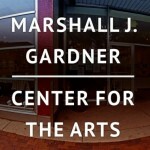 The Marshall J. Gardner Center for the Arts is a 6,000 SF space for the presentation of visual and performing arts along with an active schedule of other community events. It is home to art exhibits, dance and concert performances, art classes, art workshops, community meetings and is available for rent from time to time to non-profits for charitable events/fundraisers or to individuals for events. It is operated by the Miller Beach Arts & Creative District (MBACD), a 99% volunteer non-profit 501(c)3 community development organization.